Join us for a night of street latin dancing, fun and friendship the Loco Mojo way...salsa, bachata, street cha, merengue and tango! BYO drinks. Light supper supplied. Includes free 1 hour street Latin variety class at 8pm. Everyone that RSVPs as 'Going' to this event on our Facebook page will enter the draw to win a 1 hour dance lesson - to be drawn on the night (the winner must be there to accept the prize)! Loco Mojo Dance specialises in social street latin with soul! 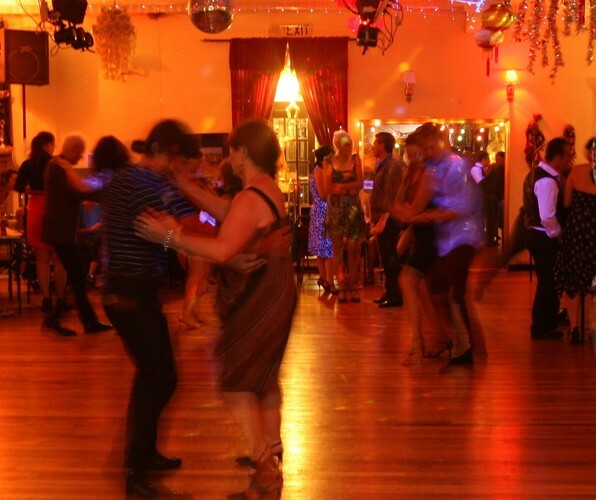 We offer group classes in street latin dances (salsa, bachata, street cha, merengue and tango Argentine) and body movement (Body Mojo), customised private tuition, dance parties, floor shows, corporate team building activities, dance tuition for private parties and customised special events. Contact us directly to discuss your needs and how we can get you really moving on the dance floor!